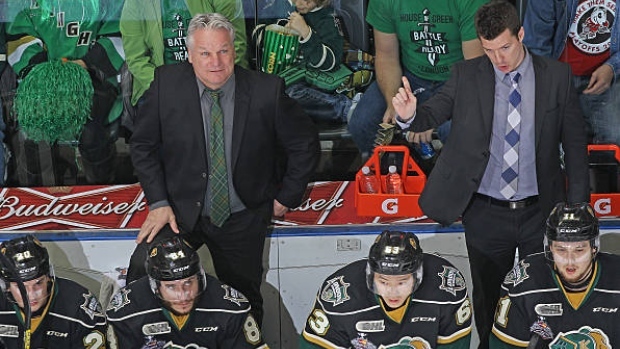 London Knights head coach Dale Hunter is expected to be named the head coach of Canada's 2020 world junior hockey championship team, according to TSN Hockey Insider Bob McKenzie. McKenzie adds Ottawa 67's head coach André Tourigny will likely serve as Canada's assistant coach. London Knight GM Mark Hunter has already been named as GM of CAN national junior team. Knights general manager and Dale's younger brother, Mark, has already been named the team's GM. Tim Hunter coached the national junior team at this year's world championship in British Columbia, falling in the quarter-final to Finland. The 2020 event takes place in Czech Republic from Dec. 26-Jan. 5.